Rochester, NY – June 25, 2012 – WeddingWire is excited to announce that John Schlia Photography is WeddingWire Rated in 2012 for Photography. WeddingWire Rated is the annual ratings program that recognizes wedding professionals across the country for their commitment to service and is the most recognized and trusted brand among engaged couples, as they start their search for local wedding businesses. The ratings program is based on hundreds of thousands of recent newlywed reviews of over 200,000 wedding professionals in the US and Canada, across 20 different service categories. John Schlia Photography has 5 reviews on WeddingWire. Reviews by our newlywed clients include detailed ratings and insightful descriptions about their experiences working with our business and staff. Our reviews provide transparency for potential clients, assisting them in making informed decisions for their big day. As the largest site for wedding reviews, WeddingWire empowers engaged couples with the most comprehensive and trusted review system available in the wedding industry. WeddingWire Rated provides John Schlia Photography with the distinction of being WeddingWire Rated and a simple platform to capture client feedback from their wedding planning experience. Engaged couples can easily access all of the reviews for John Schlia Photography on WeddingWire.com. We have all of our newlywed clients to thank for our WeddingWire Rated 2012 recognition. 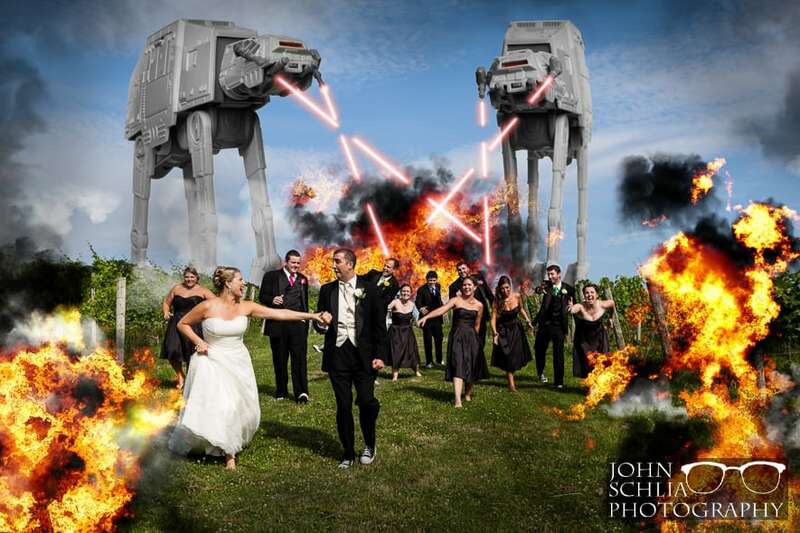 For more information, please visit John Schlia Photography on WeddingWire.